Bharuch, Bardoli, Surat, Navsari, Valsad Seats in Gujarat will go to poll on April 23 and the results will be out on May 23. Lok Sabha Elections 2019: Bharuch has been Bharatiya Janata Party’s (BJP) stronghold since 1989. BJP’s Mansukhbhai Vasava is a four-time sitting MP from Bharuch. However, Congress leader Ahmed Patel was elected from the seat for three consecutive terms, that is, in 1977, 1980 and 1984. The Lok Sabha election in Bharuch will be held in a single phase on April 23. Mansukhbhai Vasava will be contesting for the fifth term from Bharuch Lok Sabha seat in the upcoming election against Congress candidate Sherkhan Pathan. There are 7 assembly segments under Bharuch constituency, namely, Karjan, Dediapada, Jambusar, Vagra, Jhagadiya, Bharuch and Ankleshwar. Constituency number 23, Bardoli in Gujarat is reserved for the members of Scheduled Tribes. In 2014, BJP won this seat. Prabhu Vasava is the sitting MP from Bardoli. Vasava had defeated then sitting MP Tushar Chaudhari in 2014 polls. Bardoli Lok Sabha constituency is part of Surat district. It is the primary satellite town of Surat Metropolitan Region. There are 7 assembly segments in the Bardoli Lok Sabha constituency, they are Mangrol (ST), Mandvi (ST), Kamrej, Bardoli (SC), Mahuva (ST), Vyara (ST) and Nizar (ST). Parliamentary constituency number 24, Surat Lok Sabha seat came into existence in 1951 has been a BJP bastion. BJP has been winning this seat since 1989. Darshana Jardosh is the two-time sitting MP from Surat seat. She defeated Congress candidate Naishad Desai in 2014 by a margin of more than 5 lakh votes. Surat Lok Sabha seat comprises seven assembly segments – Olpad, Surat Purva, Surat Uttar, Varachha Marg, Karanj, Katargam and Surat Pashchim. Navsari constituency will go to polls on April 23. Patel Dharmeshbhai Bhimbhai of Congress, CR Patil of BJP and Vineeta Aniruddh Sinh of BSP are some of the important candidates contesting for upcoming elections from Navsari Lok Sabha constituency. It covers seven assembly segments – Limbayat, Udhna, Majura, Choryasi, Jalalpore, Navsari and Gandevi which is reserved for members of Scheduled Tribes. 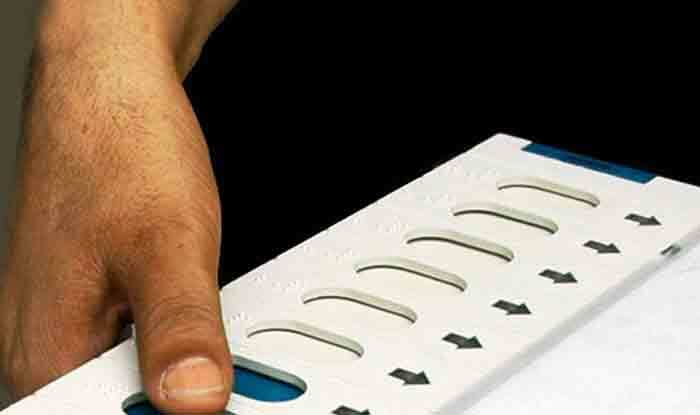 Voting for Valsad Lok Sabha constituency in Gujarat will be held in a single phase and counting will be held on May 23. This constituency is reserved for the members of the Scheduled Tribes and it covers 7 assembly segments – Dang, Vansada , Dharampur ,Valsad, Pardi, Kaprada and Umergam.